This Epimedium is evergreen, but I've cut off all the old leaves and these are the new. This clump is in the shady back border, the clump in the sunny front is still flowering. This photo is of species Epimedium sulphureum versicolor. 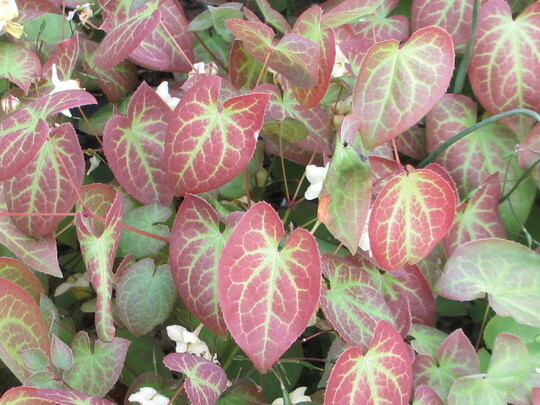 See who else has plants in genus Epimedium.